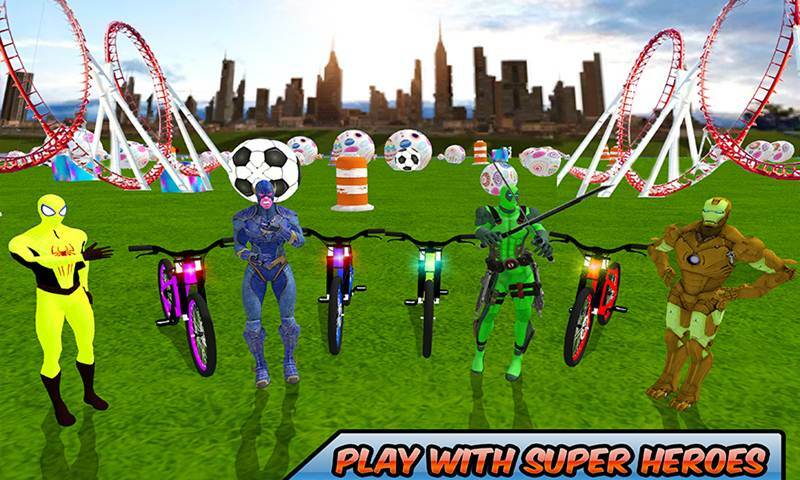 Welcome to the new bicycling game with all your favorite superheroes going to ride on it in Superheroes Racing Bicycle City Stunts. 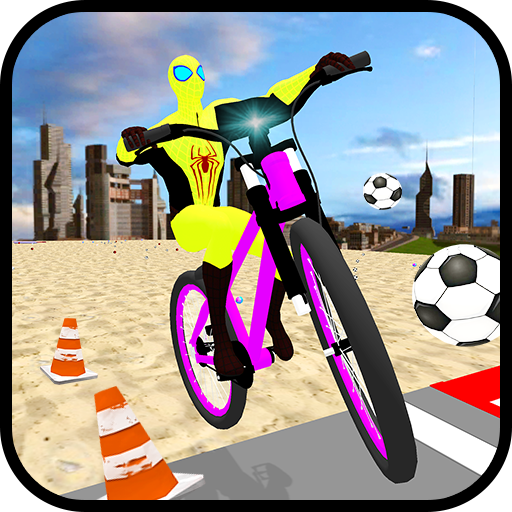 All they back this time not for city survival or any fight with dangerous gangsters but to show you some stunts with fun on bicycles. 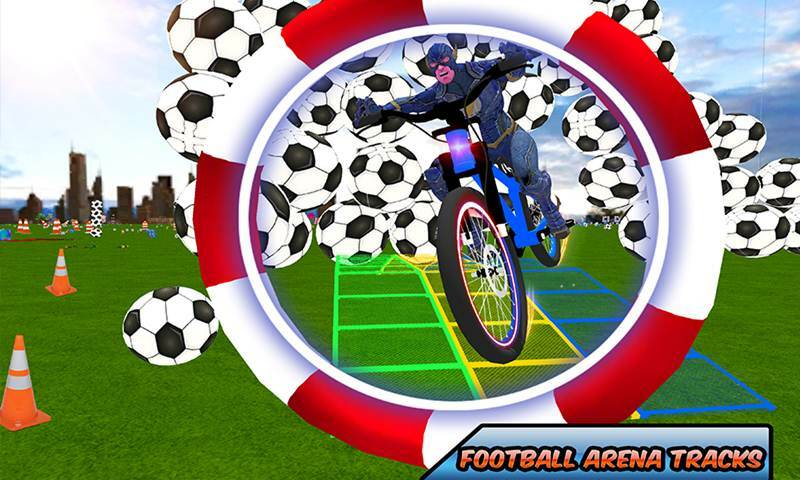 These mega stars do the amazing trick on bicycles that you never see before the excitement and enjoyment to see them in BMX bicycle racing is full time refreshment for any bicycle sports loving person. All these action pack heroes ready to do a different kind of thing that you never see before you see them in high building or flying or see doing other thing for the sake of humanity but this time a very rare chance to see them doing Mountain bicycling a very common thing that a normal person also can be done. 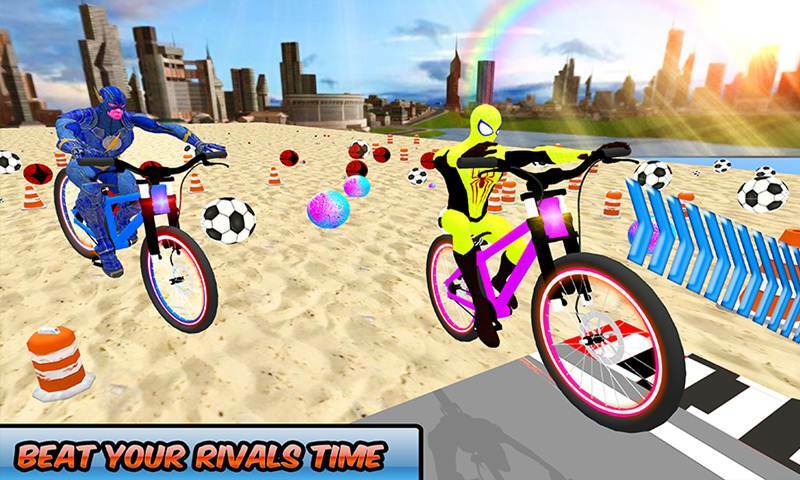 Superheroes Racing Bicycle City Stunts is specially designed for all BMX bicycle Stunts fans and grand Superheroes games lovers. 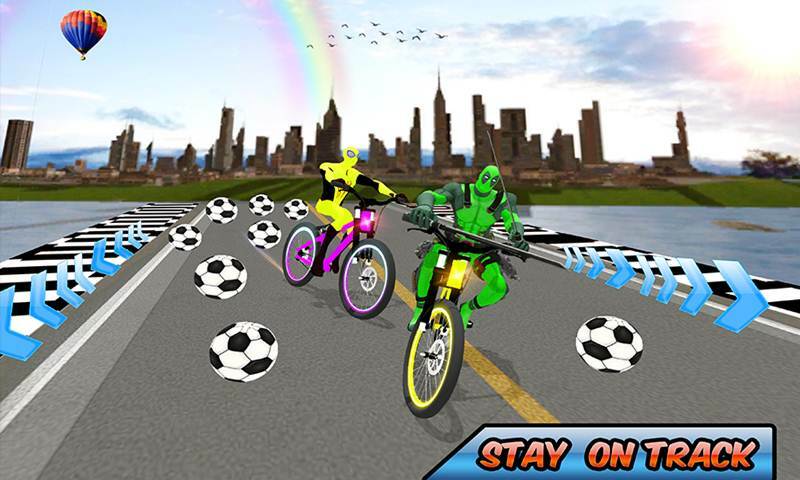 This bicycle racing type of thing by these all action heroes is very rare and this become this game a very attractive for all those who never gain chance to this thing happen.